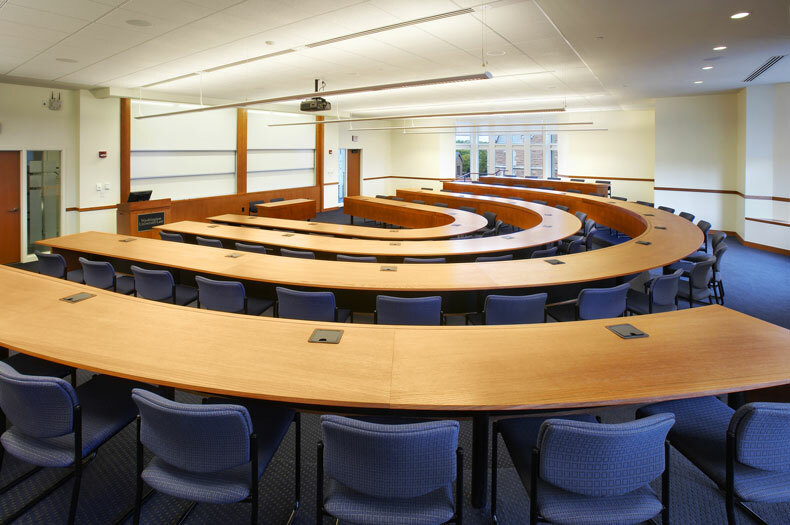 Tarlton constructed this 4-story building that includes classrooms, seminar rooms, offices and lounges for Social Sciences and Law students and faculty at Washington University in St. Louis. The project included related site improvements, the installation of utilities and a thermal plant serving multiple campus buildings. Construction required the careful coordination of construction personnel who needed to be shuttled to the site daily, as well as meticulous management in the acquisition and delivery of materials. The LEED Certified building incorporates a wide range of environmentally friendly building principles and practices.